AV industry certifications can benefit professionals in a myriad of ways, from helping them earn higher wages to providing greater career opportunties, but it is important to know which certifications are most valuable to careers and businesses. Which professional development AV certifications if any, might be right for the forward-thinking AV, IT and digital signage technology managers of today? This is actually an interesting question in light of the vast number of certifications that appear to be popping up all around us. It seems that every manufacturer of technologies or developers of software utilized in the AV and IT universe have a “certification” of some sort attached to their offerings. At first glance this is not a bad thing. The fact is that these programs are aimed at making a person familiar with the details and performance parameters of a particular product and more importantly what the tangible benefits are and what problems are solved by using that product. There is a subliminal purpose of these certifications as well and it is to get a person enveloped and dedicated to their brand and keep them as loyal users and perhaps even proactive proponents to others. With AV certifications, a company tries to consciously instill a sense of pride and accomplishment in the process. There is an old axiom that says “An educated user is our best customer” and it is certainly true. On the face of it, most education properly delivered is good but left uncontrolled and approached in a random and almost ad hoc manner, this conglomeration of disparate knowledge might be confusing and even contradictory. A curriculum focuses on how one topic or level of course relates to another. We are all familiar with 100, 200, 300, and 400 level courses and also in each category there are prerequisites that are required before moving from one course to another. If left unchecked and in disorder, this can cause the confusion we are speaking about. Herein lies the problem or perhaps better said, shortcoming of disparate certifications from multiple companies. They typically address part of a subject but rarely all of it and this is where “generalist” certifications take center stage. Before going any further, it is important to note that any certification without industry acceptance and recognition are, to a degree, meaningless outside of a given manufacturer. A humorous but apt comparison is a minister who is “ordained” by a church with 2 members versus a recognized denomination. A person can even be self-ordained but in reality who cares. The key in any certification is recognition by a significant cross section of those involved in a profession or industry. The “generalist” certification is one where the curriculum covers the broad scale and scope of an industry. In the process of learning it teaches on overview, most often with some degree of detail about the major segments of an industry. It is like an umbrella over the industry with the minute details underneath the protective cover of general knowledge. Several good examples of “generalist” certifications are the Certified Technology Specialist (CTS) certification from InfoComm, the Digital Signage Certified Expert (DSCE) from the Digital Signage Experts Group, MCSE from Microsoft, the Cisco Certified Network Associate (CCNA) and the Project Management Professional (PMP) from the Project Management Institute. In the case of the CTS certification, it covers all the basics of audio, video, design, integration, and business activities of an AV system. By design (pun intended), an AV system is comprised of numerous types and brands of technologies and equipment and each product might have a certification offered by their respective manufacturers but InfoComm offers a generalist approach from a purely impartial perspective without prejudice and only from an accepted and best practices point of view. The certification is completed upon passing an in-depth exam before a person can sport the CTS designation. This entire process insures a fundamental understanding of each segment of the industry and illustrates how they all fit together. 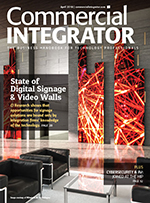 The buzz words we hear all the time in the AV, IT, and content creation world, is digital signage. This relatively new industry crosses numerous boundaries of required expertise, all of which may ultimately require a certification of their own. Understanding this, a group of recognized (that word again!) 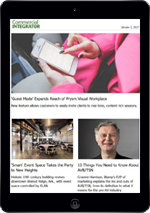 industry experts, authors, and consultants created the Digital Signage Experts Group (DSEG). Its mission is to provide education and AV certifications in each of the “7 Key Elements” involved in the digital signage. To date, the DSEG has produced the Digital Signage Certified Experts (DSCE) certification along with a Digital Signage Network Experts (DSNE), Digital Signage Display Expert (DSDE), and Digital Content and Media Experts (DCME) certification. On the drawing board are new certifications in Logistics and Installation as well as sales. The DSEG certifications are impartial, agnostic, and vendor neutral, as any good generalist certification should be. As with other programs, an exam is required to pass each certification. The key with all the recognized certification programs is to place the subject matter in the context of the overall industry and make it understandable in terms of how one key element relates to another. MCSE – Microsoft Certified Systems Engineer – Requires 7 exams to complete! MCSD – Microsoft Certified Systems Administrator – This certification is recommended by Microsoft both for experienced IT professionals and for people new to IT. CCNA– Cisco Certified Network Associate (CCNA) validates the ability to install, configure, operate, and troubleshoot medium-size route and switched networks, including implementation and verification of connections to remote sites in a WAN. Our last example of a recognized certification is the Project Management Professional or PMP from the Project management Institute or PMI. Over the years I have suggested that “there is a place in heaven for good project managers.” These are the folks who take what the sales person sold, and the designers designed and make it all work to the satisfaction of the end user. I think most would agree that this is an often daunting task and on a par with the variety and complexity of the elements in AV, IT, and digital signage. Like the CTS program, experience is necessary to earn the PMP but the rewards are significant and well worth the effort. PMPs earn a higher salary–up to 10 percent more than non-certified project managers. Over 70 percent of employers require or encourage a PMI certification and 93 percent of PMPs recommend the certification to others. The best example of adoption of a certification that I know of is that there are over 400,000 PMPs globally – and growing! The best path for professional advancement for each of us irrespective of the industry is to earn one or more formally recognized certifications. In the first place, professional AV certifications put all the elements of an industry and your experience in context rather than residing as a desperate group of facts and knowledge rolling around inside your head. Secondly, certifications are proof positive to your employers, clients, and those outside of your inner circle that you are committed to your profession, not complacent and that you actively seek the latest information available to make you and your efforts the best they can be. This has the added benefit of giving people you come in contact with well-earned confidence in your abilities. Research has shown that AV certifications make you more valuable to employers and all else being equal the nod usually goes to the certified person in a company. The following is a list of just some of the benefits of certifications. Hiring and Promotion Eligibility – New and timely certifications is the key to standing out in a crowd of resumes and having a competitive advantage over candidates without certifications. 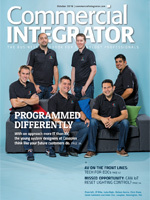 Career Improvement – Most AV and IT professionals do their job and only their job. There aren’t many opportunities to gain more responsibilities, challenges and therefore more pay, unless you’re promoted. But how many times have you been promoted lately? Certified people get promotions first. Job Retention – Lay-offs are the norm in this new economy and the people who are not being laid off are the ones with the most skills, knowledge, and certifications. Salary Maintenance –With a certification, companies will be much more likely to pay you what you’re really worth. Certifications Increase Relevance – Everything in technology is in a constant state of change. As real-world needs evolve, so must certifications and so must you! Organizations Need to Reduce Costs – A recent national marketing study proved that certifications enable organizations to reduce expenses, identify knowledge gaps and improve productivity. Confidence Proves Crucial During Turbulent Times – You need this more than anything right now. Pick yourself up and get your certification. There is of course, a deeply personal benefit to all of this and that is personal pride and confidence. Each of us must look inward at who we are as individuals and what we provide for our families, our communities, our companies, and our clients. There is an often unspoken sense of pride and accomplishment that certifications bring at all levels. Whether it is an MCSE, CCNA, CTS, PMP, or DSCE each of these show your dedication to being the best you can be for all the people and companies in your life. If you are certified in one area look to the next progression up the ladder because we should never stop learning or developing our skills no matter what profession you are in. The fact is that it all starts and stops with you.